Whether you use a professional renovation service, or you do it on your own, your bathroom renovation project will likely involve tile. 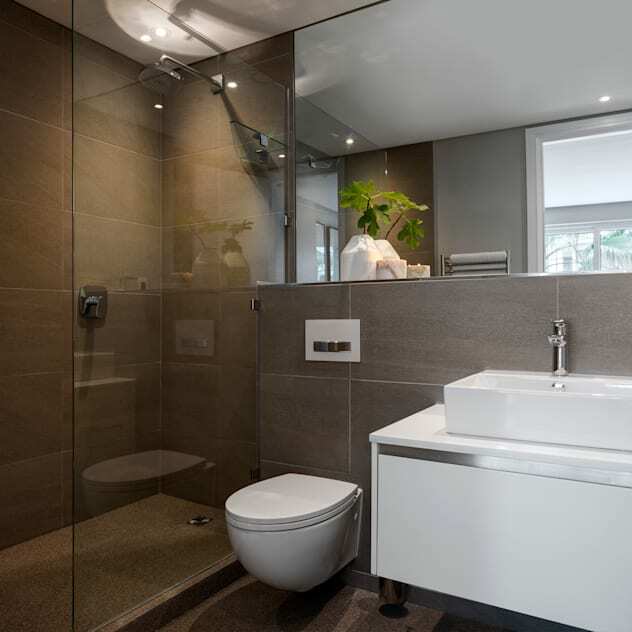 While you might be able to get away without them, tiles are still the most versatile, practical and attractive option for managing the wet conditions in bathrooms. In the past, due to the relatively high cost and style, most homes were built with tile only surrounding the tub and/or sink areas. 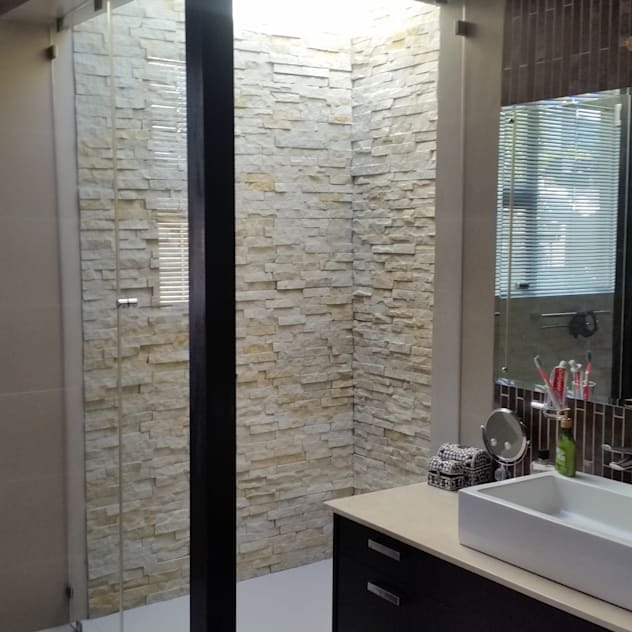 By contrast, many of today’s new homes and bathroom remodeling projects use tiles throughout the bathroom, including on the walls, tub surround, floor tiles, and even on the ceiling. 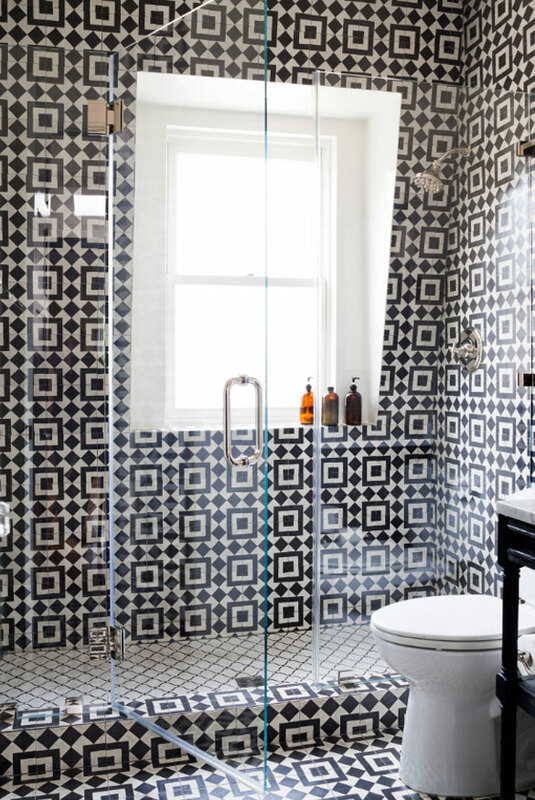 With tile playing such a big role in any bathroom reno, it pays to do your research on what’s out there. The solid-coloured, glossy-finished tile of your childhood are still around and are making a fashionable comeback. Today, in addition to different colours, you can find a wide variety of patterns, materials, tile sizes and shapes, laser and waterjet patterns, 3D tiles, and even different finish textures. For different friction needs, even outdoor tiled porcelains are available for areas that might need a little more grip. As residential architects, we couldn’t be happier with all the options. If you haven’t redone your bathroom for a while, here are a few tiles to give you an idea of what’s possible and inspire your reno. While the tiles in your parents’ home might have been 4” x 4”, you can find many options today that are 24” x 24” and larger. There are so many options, that you can even find a tile that doesn’t look like tile after it’s installed. The designs available on tiles are limited only by your imagination. From your favourite cartoon characters to creative and traditional patterns, just about anything’s possible. If you liked this post, check out our recent article on our Deja View kitchen featured on dwell.